High-placed political figures have been agreeing that other ways must be found to readjust fiscal formulas that are crushing so many people in Europe. Even the president of the European Commission suggested this week that austerity policy may no longer prove useful. The results have been shrinking growth and social suffering. Unemployment has exploded in Spain and Greece, to more than 27 percent on average. Portugal and France have broken their own records. Nearly a quarter of young Europeans are jobless. There are 19 million people out of work in the eurozone, meaning 12 percent of the labour force. That is 5.6 million more people than in 2007. Domestic consumer demand in eurozone countries has fallen. It is 226 billion euros lower than in 2008. Over the same period, the per capita drop in incomes varies, from 1.6 percent in France to a colossal 20 percent in Greece and Ireland. Eurozone agreements are not being respected. Nine of the 17 countries in it are not meeting the three percent of GDP deficit goal, and are not forecast to be able to next year either. But since Germany is the only member in the European Union to enjoy a sound budgetary footing, if there is to be any relaxing of that requirement, the word will have to come not from EU headquarters Brussels but from Berlin. Riots in Madrid, more than six million unemployed people in Spain, an unemployment rate of 27 percent – as high as in Greece. Enrico Letta, who has just formed a government in Italy, is demanding the end of austerity. President Francois Holland is suffering under high unemployment in France. He wants to call time on austerity as well. Is this the end of austerity in Europe? 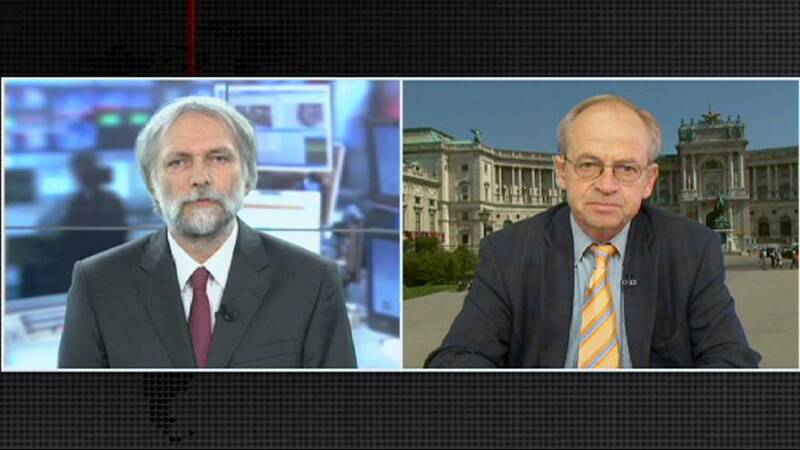 Euronews spoke to Professor Karl Aiginger from the Austrian Institute of Economic Research (WIFO) in Vienna. He has been the coordinator of the research project ‘A New Growth Path for Europe’ since April 2012. Aiginger: “In a community, different groups have different needs. There isn’t a single way, there are not only interest rates. I actually suggest that the ECB lower its interest rate in the coming week. “There’s also the possibility of using the structural funds. There is not enough speed, the active component, in the field of investment, that could create jobs for unemployed youth. Some wages for existing jobs are too high, that’s why some young people can’t get a job. This is not the model for a society that we want and isn’t part of a community that shows solidarity. “Certainly it would be better if there were more money for investment in the southern countries. Aiginger: “Germany seems to have found a successful way for itself in shrinking its budget deficit. But in its own interest it would be good, if it had higher growth. “There are so many needs for investment in ecological technology. Germany could become a world leader in ecological technology.